Is Facebook your brand’s friend? 1. 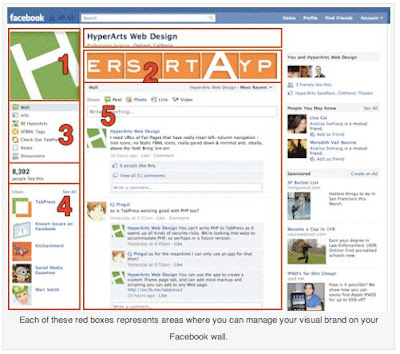 You build a Facebook Page in a standard layout. 2. One-third of the page’s visual real estate (everything not in a red box above) goes to Facebook content, not your brand’s content. 3. Facebook runs ads for products other than your brand, on your brand’s page. 4. Your URL starts with Facebook and ends with your brand name. 5. You can spend your own ad dollars to promote the Facebook URL. 6. If people visit your site, typical usage will take the users away from your brand content and elsewhere inside the Facebook ecosystem. But you need one, really. Because everyone else is doing it.